In Orthodox Christian faith, devotees have the utmost respect for the Holy Mysteries. For this reason, they are reserved in a specially constructed box called the tabernacle that is secured to an altar. 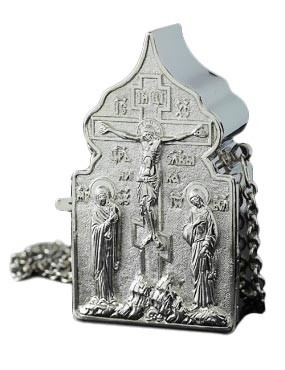 In keeping with our rigorous commitment to Orthodox Christian traditions, Istok Church Supplies presents a wide variety of budget friendly and ornate Orthodox Church tabernacles and altars that would be beautiful additions to any church. The altar for the tabernacle is often shaped like a Church building and usually features a cross at the top. 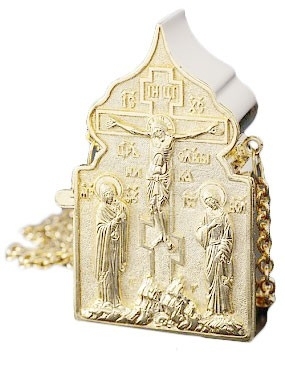 The Holy Mysteries are normally placed in a small drawer that can be locked to prevent unauthorized removal. They are taken out for liturgical services and events such as the Holy Communion. 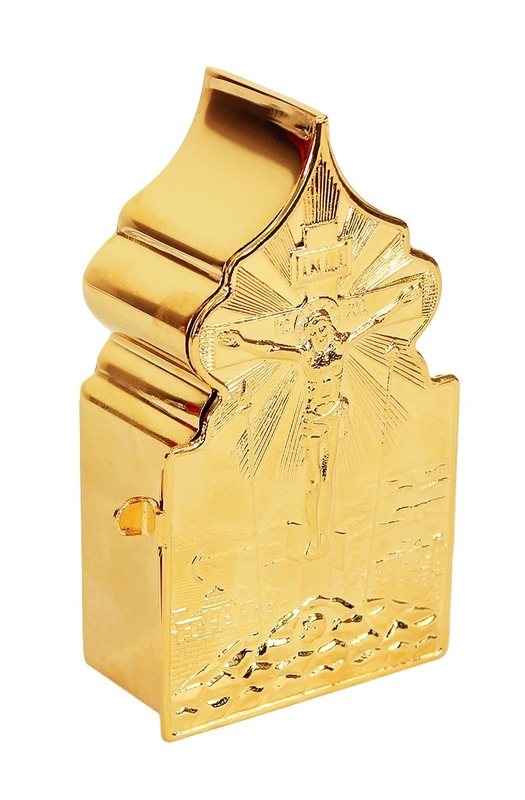 Tabernacle altars can be made from various materials including high quality brass and wood. Our wooden tabernacles for sale have been hand crafted by master craftsmen who have deep understanding of traditional tabernacle styles. They are a good option for our budget conscious customers. 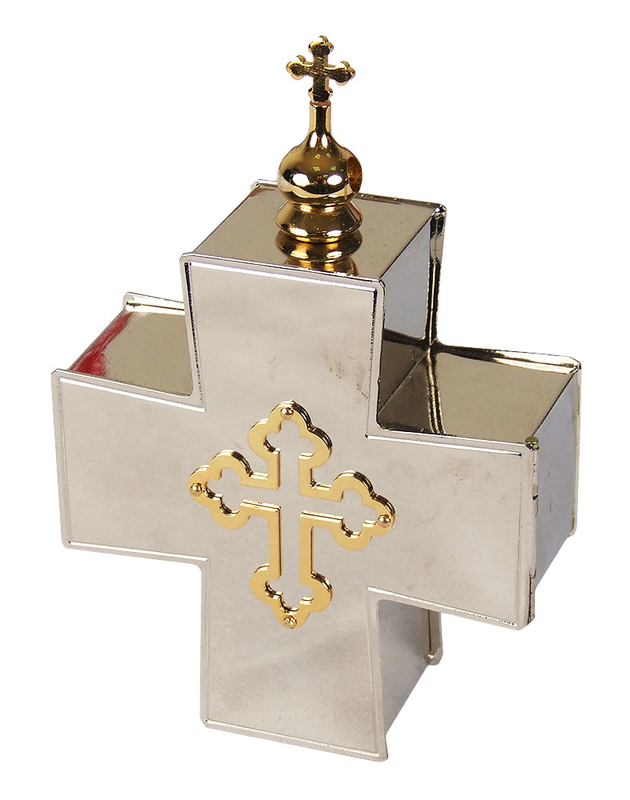 Istok Church Supplies has a vast selection of tabernacles including portable tabernacles and glass encased tabernacle altars for added protection against dust and weather elements. 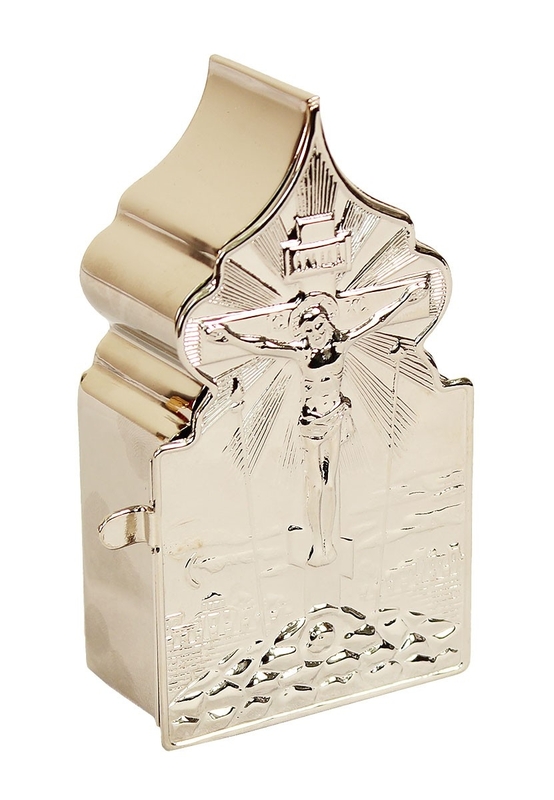 Light weight yet sturdy, our portable tabernacles are perfect for travels. We understand the need for budgetary considerations and hence offer these devotional items to suit a wide variety of budgets. 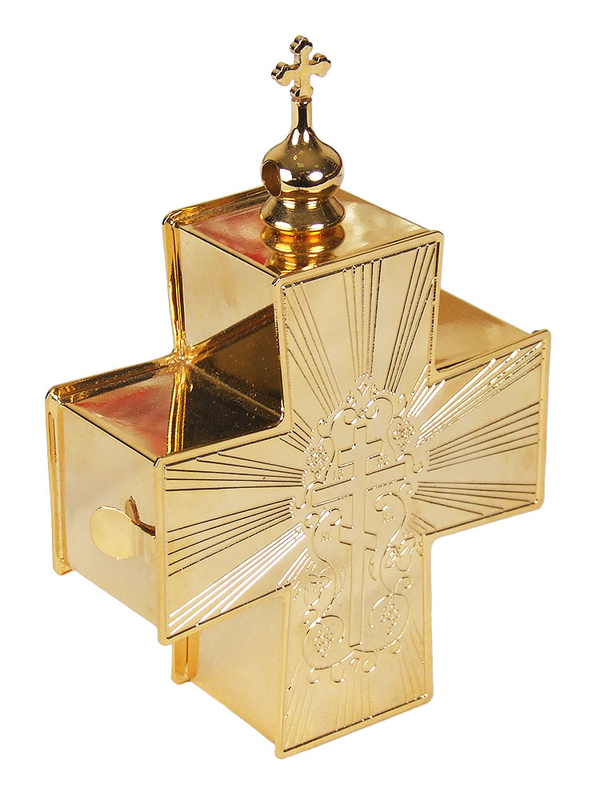 If money is not a constraint, we have a selection of exquisite and ornate tabernacles in time honored traditional styles. While celebrating traditional styles, they are durable and designed for longevity. 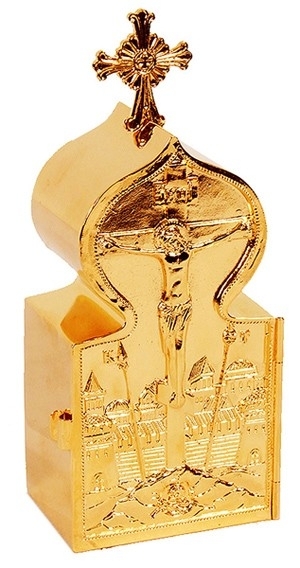 Gold gilding, silver gilding, nickel gilding, enamel work provide stunning decoration effects. They can be seen as one time investments that provide returns for many years. Each item comes with a description and a close up picture to help customers make the right choice. Customers have the freedom to shop any time they want since our online store is open 24x7. Very happy with my purchases, thank you very much for the excellent service! I received the set of vestments a few days ago and the fit is great. They are more beautiful than I could imagine. Thank you for all of your help through this order. We are very happy and everything measured fit great. I am glad you questioned our measurements because we brought in a woman we knew could do the measuring correctly and we did end up changing the measurements we began with. The shipment of vestments arrived from Russia today. The vestments are beautiful.. Our priest will bless them tomorrow and I will be able to wear them for the Liturgy of the Presanctified Gifts tomorrow evening. 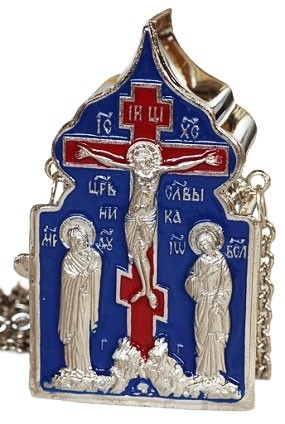 I ordered from Istok brass plates for the Gospel cover with silver plating. The workmanship and quality are excellent. Thank you for filling the order.